Note: This is a “Re-post” of my 11/11/14 Blog. Listed below in alphabetical order by conflict are members / inductees (including non-players) of the National Baseball Hall of Fame in Cooperstown who are officially classified as Veterans – each having served in the United States Armed Services during wartime. Veterans Day and Every Day ….. Thank You! Note: This is a re-post of my 2014 Veteran’s Day Blog. This and the following list of Hall of Fame Members Courtesy of Baseball Almanac. Baseball Hall of Fame Members who Served in the Armed Forces. GFBB Note: Craig Calcaterra who penned this post is a lawyer and has some really interesting comments on this case. Example: “…..the fact is, Bonds was asked a yes or no question and he answered “no. And ” It is not the job of the criminal justice system to punish an evasive or non-responsive witness”. If you’ve been following this case you’ll like this article. Barry Bonds lawyers will head into court today to argue his appeal of his obstruction of justice conviction today. There will be no decision today because that’s not how appellate courts roll, but when you read the Bonds headlines later, that’s what it’s about. Last Saturday, January 26, 2013, SABR Members Nationwide met for an informative afternoon of baseball, food and more baseball. This was true for approximately 50 members of the Lefty O’Doul Chapter, who met in Oakland, California for the annual event. President Marlene Vogelsang sparkled as she asked each member to introduce themselves and tell us about their favorite baseball memory. And we sparkled too! Wonderful stories filled the room, one story leading to another. Imagine someone talking about attending the same game you did back in 1958, or finding out the van company you hauled baseball bats for in Seattle, WA back in 1960 was owned by the Godfather of another member, sitting next to you, who lived in California at the time. Guest speaker Rick Tittle, radio personality and announcer, gave us an earful of fun information about the ins and outs of Oakland baseball, but also of Bay Area sports in general. He’s an encyclopedia of knowledge and we sat like sponges waiting to absorb every word, humorous at times and fall-down-funny at others. 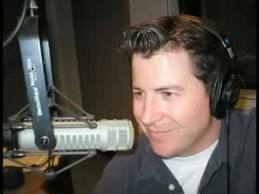 Rick’s the Host on SportsByline USA, also 95.7 The Game, and KQED 88.5 FM. You can view his Facebook Fan Page here, “Titillating Sports with Rick Tittle“. Notable mentions from the afternoon were the announcement that Paul Hirsch, Lefty O’Doul Member for years, and National Board Director for SABR, will be leaving us for Southern California. Also Nancy who’s been a member since 1982, longest chapter member in attendance and introduction of Sherry who was an announcer for the SF Giants at Candlestick Park. And I was rather impressed that two actual relatives of Lefty O’Doul, Tom and Pat, were members and seated almost next to us. Members presented their ideas and ongoing research for the “SABR BIO PROJECT” which is an ongoing effort to research and write comprehensive biographical articles on people who played or managed in the major leagues, or otherwise made a significant contribution to the sport. I was so inspired by their presentations I came home, immediately wrote the Committee Chairman, and was assigned a ballplayer born in Santa Cruz , CA in 1913. I can’t wait to get started. If anyone has any information on “Les Scarsella” please drop me a note. This is going to be fun! It was a beautiful day at the Red Lion Hotel in Oakland, California. What could be better than spending the afternoon talking about and listening to some of the most knowledgeable people in baseball. 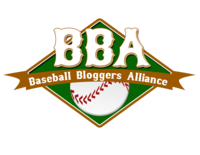 If you’re interested in joining us or just want to find out more about the organization, check it out ~” Society for American Baseball Research. We’d love to hear from you. Great story from MLB Fan Cave. Ichiro Suzuki started his baseball career in high school as a pitcher, regularly throwing 75-85 and occasionally 90 mph. But in his last year, playing as an outfielder with a .505 batting average and 19 home runs, it was determined he should remain in the outfield. I love these Japanese baseball videos. The fans are always wild and enthusiastic, a little crazy. They love their baseball! Listening to the announcers is a hoot, and even though I don’t have the faintest idea what they’re saying, you can always use your imagination. Japan has won the last two World Baseball Classics and has won their first round for the 2012 Classic. 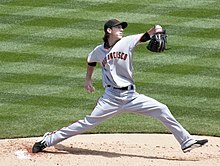 We might be seeing them in San Francisco at the Finals in March, minus Ichiro, who’s decided to sit this one out. A World Classic Final between Japan and USA at AT&T Park in March, 2013. Now that would be something to see. It could happen ~ stay tuned! “December 10, 1972. The American League adopts the designated hitter rule on a trial basis for three years.” Forty years later we’re still stuck with it. Whether you like the DH or not pretty much depends on which league your favorite team plays for. I’m a bit obsessed with this designated hitter thing. I mean why not have a designated catcher that doesn’t have to do anything except “catch”. 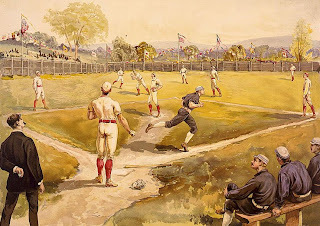 Once the opponent has a runner on third, the DC can step in and take the hits for the regular catcher as the runner heads for home , thereby assuring the regular catcher’s safety. The next inning, or maybe even the next play, the regular catcher can resume his position at the plate. I’ve been trying to wrap my arms around the designated hitter since it was first introduced by the American League back in 1973, but Official Rule, 1.01, that first rule of baseball, keeps getting in the way. The Designated Hitter Rule got thrown into MLB Miscellany as an official rule which states that a hitter may be designated to bat for the starting pitcher in any game. This came about in 1973 and the “any game” thing meant not only the American League but also the National League. I can’t imagine any scenario that would allow me to wholeheartedly accept this notion. If anyone has any ideas, other than you’re trying to protect the pitcher, I’d like to hear them. It’s rather like a sacred cow you know, and it’s one of the reasons I find the National League just a little superior to the American League. Okay then. I got that off my chest this morning. Wonder what’s in store for the rest of the day? Well, okay, it’s a little lean there, but then I realized the story, just like baseball, is about teamwork and the human spirit and working towards the same goal. This is a moving first-hand account of a Delta Airlines Flight Attendant on board Delta Airlines ­ Flight 15, enroute from Frankfurt, Germany to Atlanta, Georgia on September 11, 2001. No one said a word about what this could mean. We knew it was a serious situation and we needed to find terra firma quickly. The captain determined that the nearest airport was 400 miles behind us in Gander , New Foundland. He requested approval for a route change from the Canadian traffic controller and approval was granted immediately–no questions asked. We found out later, of course, why there was no hesitation in approving our request. While the flight crew prepared the airplane for landing, another message arrived from Atlanta telling us about some terrorist activity in the New York area. A few minutes later word came in about the hijackings. We decided to LIE to the passengers while we were still in the air.We told them the plane had a simple instrument problem and that we needed to land at the nearest airport in Gander , Newfoundland to have it checked out. We promised to give more information after landing in Gander . There was much grumbling among the passengers, but that’s nothing new! Forty minutes later, we landed in Gander . Local time at Gander was 12:30 PM! ….that’s 11:00 AM EST. There were already about 20 other airplanes on the ground from all over the world that had taken this detour on their way to the U.S. After we parked on the ramp, the captain made the following announcement: “Ladies and gentlemen, you must be wondering if all these airplanes around us have the same instrument problem as we have. The reality is that we are here for another reason.” Then he went on to explain the little bit we knew about the situation in the U.S. There were loud gasps and stares of disbelief. The captain informed passengers that Ground Control in Gander told us to stay put. The Canadian Government was in charge of our situation and no one was allowed to get off the aircraft. No one on the ground was allowed to come near any of the aircraft. Only airport police would come around periodically, look us over and go on to the next airplane. In the next hour or so more planes landed and Gander ended up with 53 airplanes from all over the world, 27 of which were U.S. commercial jets. Meanwhile, bits of news started to come in over the aircraft radio and for the first time we learned that airplanes were flown into the World Trade Center in New York and into the Pentagon in DC. People were trying to use their cell phones, but were unable to connect due to a different cell system in Canada . Some did get through, but were only able to get to the Canadian operator who would tell them that the lines to the U.S. were either blocked or jammed. Sometime in the evening the news filtered to us that the World Trade Center buildings had collapsed and that a fourth hijacking had resulted in a crash. By now the passengers were emotionally and physically exhausted, not to mention frightened, but everyone stayed amazingly calm. We had only to look out the window at the 52 other stranded aircraft to realize that we were not the only ones in this predicament. We had been told earlier that they would be allowing people off the planes one plane at a time. At 6 PM, Gander airport told us that our turn to deplane would be 11 am the next morning. Passengers were not happy, but they simply resigned themselves to this news without much noise and started to prepare themselves to spend the night on the airplane. Gander had promised us medical attention, if needed, water, and lavatory servicing. And they were true to their word. Fortunately we had no medical situations to worry about. We did have a young lady who was 33 weeks into her pregnancy. We took REALLY good care of her. The night passed without incident despite the uncomfortable sleeping arrangements. About 10:30 on the morning of the 12th a convoy of school buses showed up. We got off the plane and were taken to the terminal where we went through Immigration and Customs and then had to register with the Red Cross. After that we (the crew) were separated from the passengers and were taken in vans to a small hotel. We had no idea where our passengers were going. We learned from the Red Cross that the town of Gander has a population of 10,400 people and they had about 10,500 passengers to take care of from all the airplanes that were forced into Gander ! We were told to just relax at the hotel and we would be contacted when the U.S. airports opened again, but not to expect that call for a while. We found out the total scope of the terror back home only after getting to our hotel and turning on the TV . . . 24 hours after it all started. Meanwhile, we had lots of time on our hands and found that the people of Gander were extremely friendly. They started calling us the “plane people.” We enjoyed their hospitality, explored the town of Gander and ended up having a pretty good time. Two days later, we got that call and were taken back to the Gander airport. Back on the plane, we were reunited with the passengers and found out what they had been doing for the past two days. What we found out was incredible. Gander and all the surrounding communities (within about a 75 Kilometer radius) had closed all high schools, meeting halls, lodges, and any other large gathering places. They converted all these facilities to mass lodging areas for all the stranded travelers. Some had cots set up, some had mats with sleeping bags and pillows set up. ALL high school students were required to volunteer their time to take care of the “guests.” Our 218 passengers ended up in a town called Lewisporte, about 45 kilometers from Gander where they were put up in a high school. If any women wanted to be in a women-only facility, that was arranged. Families were kept together. All the elderly passengers were taken to private homes. Remember that young pregnant lady? She was put up in a private home right across the street from a 24-hour Urgent Care facility. There was a dentist on call and both male and female nurses remained with the crowd for the duration. Phone calls and e-mails to the U.S. and around the world were available to everyone once a day. During the day, passengers were offered “Excursion” trips. Some people went on boat cruises of the lakes and harbors. Some went for hikes in the local forests. Local bakeries stayed open to make fresh bread for the guests. Food was prepared by all the residents and brought to the schools. People were driven to restaurants of their choice and offered wonderful meals. Everyone was given tokens for local laundry mats to wash their clothes, since luggage was still on the aircraft. In other words, every single need was met for those stranded travelers. Passengers were crying while telling us these stories. Finally, when they were told that U.S. airports had reopened, they were delivered to the airport right on time and without a single passenger missing or late. The local Red Cross had all the information about the whereabouts of each and every passenger and knew which plane they needed to be on and when all the planes were leaving. They coordinated everything beautifully. It was absolutely incredible. When passengers came on board, it was like they had been on a cruise. Everyone knew each other by name. They were swapping stories of their stay, impressing each other with who had the better time. Our flight back to Atlanta looked like a chartered party flight. The crew just stayed out of their way. It was mind-boggling. Passengers had totally bonded and were calling each other by their first names, exchanging phone numbers, addresses, and email addresses. And then a very unusual thing happened. One of our passengers approached me and asked if he could make an announcement over the PA system. We never, ever allow that.. But this time was different. I said “of course” and handed him the mike. He picked up the PA and reminded everyone about what they had just gone through in the last few days. He reminded them of the hospitality they had received at the handsof total strangers. He continued by saying that he would like to do something in return for the good folks of Lewisporte. He said he was going to set up a Trust Fund under the name of DELTA 15 (our flight number). The purpose of the trust fund is to provide college scholarships for the high school students of Lewisporte. He asked for donations of any amount from his fellow travelers. When the paper with donations got back to us with the amounts, names, phone numbers and addresses, the total was for more than 14,000 dollars! The gentleman, a MD from Virginia , promised to match the donations and to start the administrative work on the scholarship. He also said that he would forward this proposal to Delta Corporate and ask them to donate as well. GFBB Note: A special thanks to Dan & Joni Quintell for sharing this great story with me.